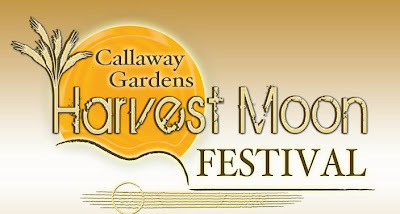 The Callaway Gardens Harvest Moon Festival is a food and music extravaganza like no other! This family-friendly music festival October 6-9, 2011, features musical performances from The B-52s, The Gin Blossoms and John Hiatt, and multiple Grammy-winning Shawn Colvin and also includes Celebrity chef Claire Robinson, host of the Food Network’s popular “5 Ingredient Fix.” Tickets are $79 for advance weekend passes and Gate price during the event will be $85. The Thursday evening Harvest Feast ($62 per person) will feature a cooking demonstration by Claire Robinson, followed by a double-bill of Atlanta musician Nic Cowan and popular recording artist Joe Purdy. Friday boasts some big names with The B-52s, Shawn Colvin, Parachute, Dread Clampitt and Allgood among the acts scheduled to appear. Saturday showcases the bulk of the musical lineup, with the Gin Blossoms, John Hiatt, Shawn Mullins, Big Head Todd and the Monsters, and Mat Kearney among the biggest names to appear on the festival’s two stages. The four-day festival is a celebration of the harvest and of man and nature’s fruitful coexistence, combining farm-to-table foods, eco-centric vendors, cooking and gardening demonstrations, fun and educational activities for children, and of course, this unprecedented lineup of big-name bands. For tickets, information and the complete list of confirmed acts, visit harvestmoonfest.com. The inaugural Callaway Gardens Harvest Moon Festival is definitely something to experience. Plan to stay for the festival and savor every moment. Overnight packages include tickets to the events but space is filling up quickly in the Mountain Creek Inn, Southern Pine Cottages and Mountain Creek Villas. Gather friends and family and call today to reserve a Harvest Moon Festival overnight package. For more information, visit www.harvestmoonfest.com. For overnight reservations, call 1-800-CALLAWAY (225-5292) or visit www.callawaygardens.com. Keep up with updates for the Harvest Moon Festival at www.facebook.com/HarvestMoonFest and at www.twitter.com/HarvestMoonFst. If you would like to win two tickets for the Harvest Moon Festival leave us a comment telling us why do you want to attend this festival. Winner will be chosen by a random drawing on October, 4th, 2011 at 1:00pm. Drum roll please!!! This giveaway is now closed. The winner is Frankie!!!!! Please use the email button on our site and send us your info. You have 24hrs to respond. My four-year old would love this! What a fantastic family event. We don't have any fall activities planned, and I just started working again...but this would be perfect for us! I have never been to Callaway and would love to go. Times have been hard for my family. I have heard of all the wonderful things offered there and I still have not be able to go. I would be a great way for me to spend some time with my husband as our anny. is coming up in Oct. Thanks for letting me know about this. Hey Everyone - Callaway isn't so far from Atlanta - just 70 miles from Downtown and about 90 minutes from the norther suburbs. What a perfect combination: great weather, beautiful venue, beautiful music and good food. I'd so love to be a part of this festival this year. Not to mention that I've been a loyal, long-time fan of Shawn Colvin (since 1989!!!) and would love any opportunity to see her locally. It's been forever since I've been to Callaway Gardens, so I'm well overdue for a visit! I hope I win some passes! Love the fall and love Callaway Gardens. Fall is my favorite time of year because the humidity dies down and we get to enjoy the cooler weather. Thanks for a great contest, my husband and I would really enjoy the drive and love the bands that are playing! I would love to go to Callaway Gardens because I have never been and it would be an awesome time to spend with my daughter. Callaway Gardens is definitely on my "bucketlist"!! My fiance and I would love to win tickets! We're always looking for fun new date-night ideas and this one sounds like an ideal way to spend our 1 year engagement anniversary! Amazing giveaway Liza! 10)I have never been to Callaway Gardens. 9) I would see the Gin Blossoms live for the first time. 8) I would take a yoga class for the first time. 7) I would see Shawn Mullins live for the first time. 6) The forecast for the weekend is 70's and sunny. 5) I would watch UGA beat UT on one of the big screen TVs. 4) I would bike through the gardens with one of the master horticulturists. 2)I would eat a Double Decker Sandwich from the Double Decker Sandwich Shop for lunch. This looks like a really fun event! I would love to enjoy the nice weather and music. 'I've never been to callaway gardens and have always wanted to go. It would be great to take my fiancee"
This looks amazing. I would love to come down and enjoy the beautiful Fall weather! 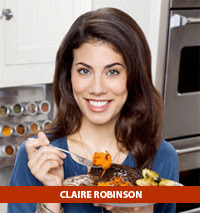 I would love to go so I can meet the beautiful Claire Robinson in the picture above. She’s so dreamy. This would be an amazing weekend! I had a baby in January, and our summer beach plans were canceled because I had to have brain surgery for a chiari malformation:( This would be an amazing way to start a new season! I want to go to the Harvest Moon Festival because the Gin Blossoms' Found Out About You reminds me of the breakup I had with my girlfriend in the 5th grade. It was a painful time, but I would love to reminisce. It's fiancé's birthday! This would be an incredible suprise gift and retreat for us both before the big wedding day! I would post pictures of our trip sp everyone could enjoy it with us on social media. Yay!!! Thank you all for participating. The winner of the weekend pass to the Harvest Moon Festival is Frankie. Please email us at lizacardona @ thebluebirdpatch.com You have 24 hrs to respond or your tixs will be given to a new winner.